New Zealanders are rallying around their Muslim neighbors and compatriots following last week’s white supremacist attack on two mosques in the city of Christchurch. This includes a handful of biker groups that have reached out to the country’s small Muslim community to express solidarity in the aftermath of the massacre, according to The New Zealand Herald, and offered to provide voluntary security at mosques during this week’s jumah, or Friday prayers. Groups that have promised protection include the Mongrel Mob, Black Power, King Cobras and Hells Angels. The president of the Mongrel Mob chapter in Waikato, Sonny Fatu, reportedly offered to shield the Jamia Masjib Mosque in Hamilton. Although the Muslim community did not feel scared, Mohsin said, the support was appreciated. “I feel very good, to receive this support from all different sections of society, different interests and dispositions, to come forward and give their love. It all gives us strength to overcome the grief we are undergoing,” Mohsin told NZME. Last Friday, a 28-year-old Australian white supremacist attacked two mosques in Christchurch, killing 50 and injuring dozens more. Brenton Tarrant live-streamed part of the assault and published a meme-laden far-right manifesto to accompany the massacre. He is currently in custody facing at least one murder charge. 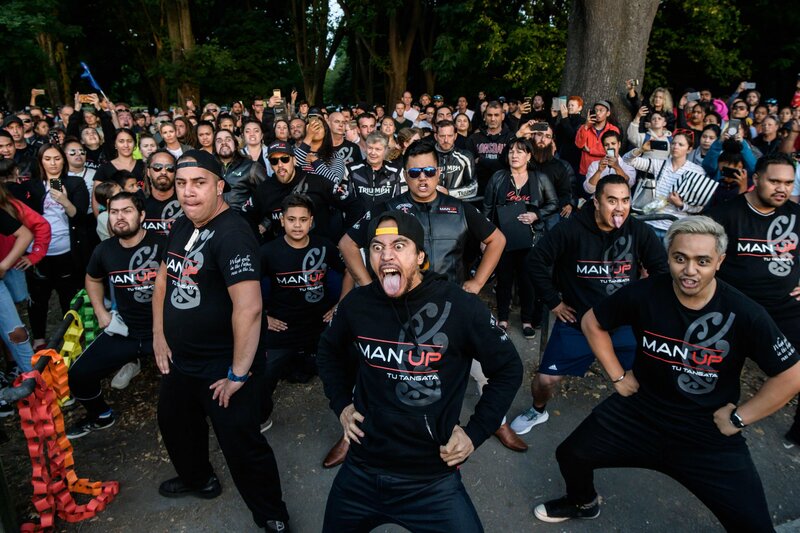 The Australian Mongrel Mob also expressed solidarity by standing guard outside a mosque in Sydney, and the Black Power bikers performed a traditional haka on Sunday by the cordon surrounding the Al-Noor Mosque in Christchurch, where dozens were shot dead on Friday. Member Shane Turner said the group had been “waiting for the 'big day' so we can come and support them,” the Herald reported.